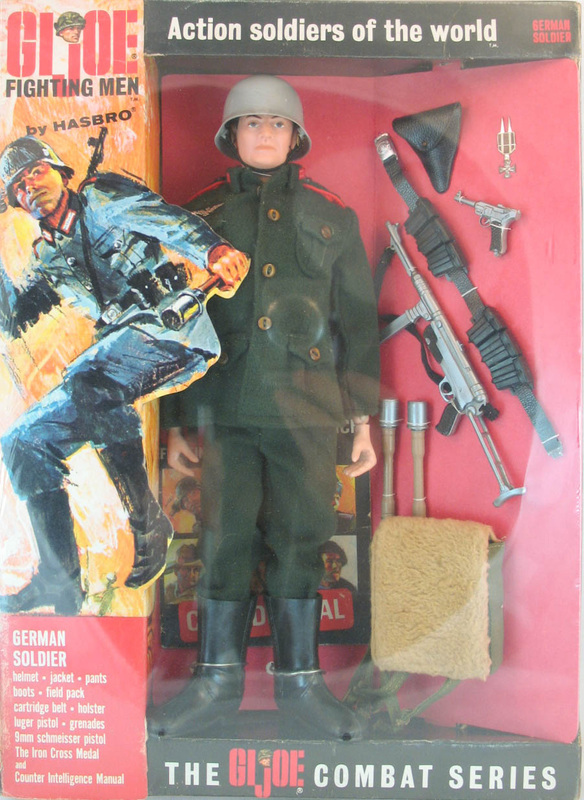 The German Soldier was initially to be called the German Stormtrooper, though that name was decided to be too controversial. Occasionally packaging with the 'stormtrooper' title is found and brings premium prices from collectors. 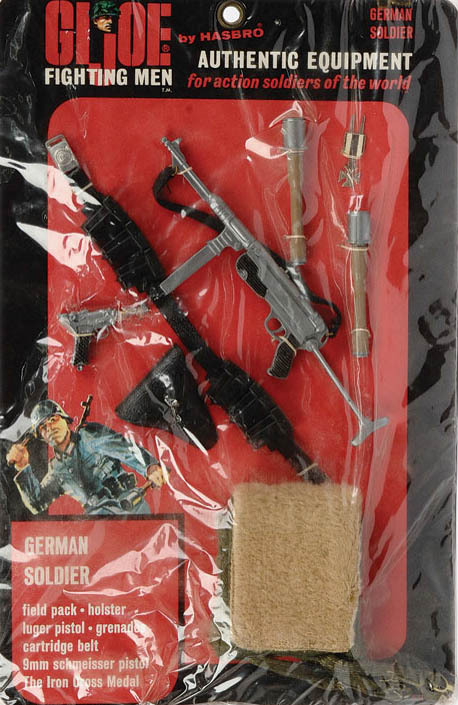 The set was available in a deluxe window box (8100) and as a narrow figure box (8200) and a carded set of accessories (8300). 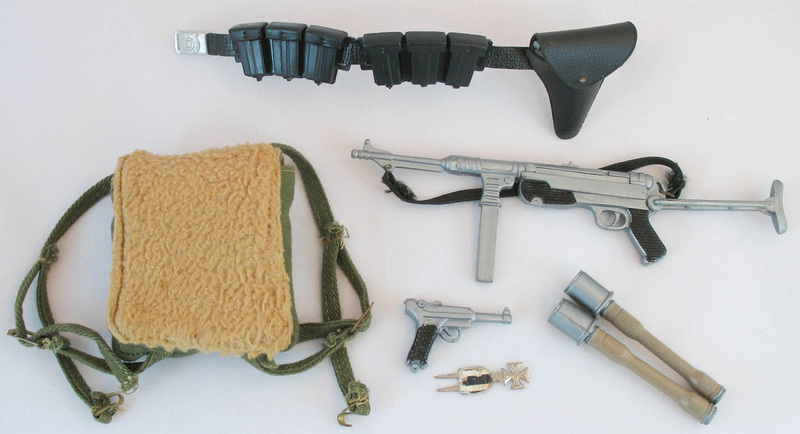 The German Soldier's equipment included cartridge belt with holster, luger, 9mm schmeisser machine pistol, pack, Iron Cross medal, and two 'potato masher' grenades. 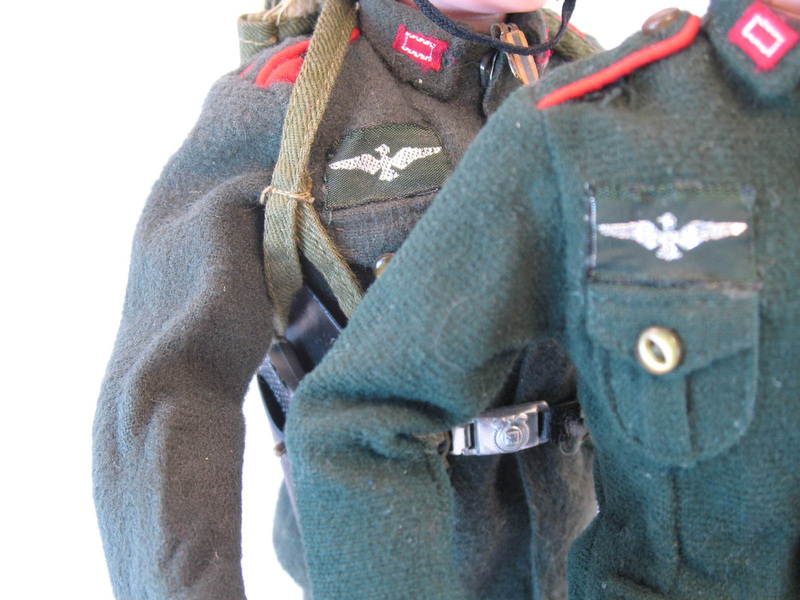 Among the variations in the German set are two distinct uniform colors, a drab green that appears on earlier versions of the set and a brighter green that is more common. 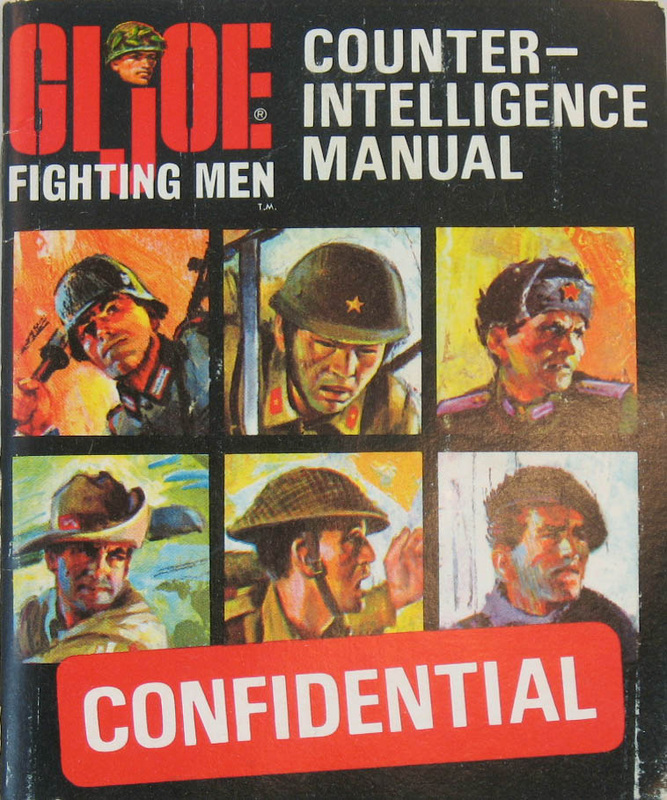 The Counter Intelligence manual is pictured on the far right.